Dustin Welch – Whisky Priest | NoCoda. What It Sounds Like: Austin native comes at us like a younger, rockier, and grittier version of Jakob Dylan with a banjo and some mean energy. I don’t frequent bars, and I’ve ordered less than ten drinks from over the counter my whole life. Don’t get me wrong though; I enjoy a good drink as much as the next guy. I remember the first time I was introduced to Macallan eighteen year. If you can’t appreciate sipping on that, well, y’know…get off my porch. What I do frequent, however, is the scene of bar music. Sure, any variety of styles can be played at a bar, and when we picture it in our minds, we all probably see slight variations. Maybe it’s a lone, long-bearded man hunched over on a stool with a Budweiser on the floor strumming a beat up Stagg. Maybe it’s a loud, sloppy rock band with cheap tattoos singing about loose women. 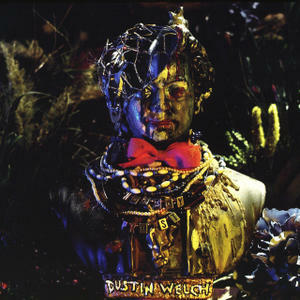 In my mind, I see Dustin Welch. His music is unmistakably made for the small town hole in the wall, showcasing a fair share of fiddles and mandolins; think of a mash of The Wallflowers and Tom Petty with even more southern drive and layers of diversity. Heartland rock of the south, if you will. Don’t Tell Em Nothin’ boasts a chorus that sounds like a train engine blowing at full steam, while the title track is moonshine bottle blowin’, boot stompin’, hand clappin’, experimental sing-along. He even throws us a self-penned traditional Irish folk song entitled Green Badge that exceeds any negative expectations that may have just been dug into your brain when reading that this Texas boy wrote a freaking Irish folk song! Make sure not to miss the slow-burning Two Horses, a primarily acoustic, accordion-laden number that borrows an idea of Plato’s view of the human soul and our never-ending “push and pull” of the human experience. On the other hand, make sure you also don’t miss Heartbreak, which is about as modern of a roots-rock pop song that you’ve ever heard. The glasses in the bar will be raised, and the chorus will be sung by the crowd. Oh but one of these days the time will come / When you find out love is real / Oh and nothing else’ll matter, no nothing at all / And all time will seem to stand still / And then you’ll know what heartbreak will make you do / Yea, you will know what heartbreak will make you do. Man, I love artists that know enough not to make their records sound the same all the way through. Dirty Mind is driving, screw the chord change-ups midnight jam the continually states I’ve got a dirty mind / I like a certain kind of thing / I can’t help myself / Can’t tell you what it’s s’posed to mean. Say what, Dustin? I’m sure you had a few too many before you decided to put that one to tape. Empty Parking Lots looks at a conversation between a mysterious man and woman in the seemingly early 20s, complete with a guest female vocalist singing the woman’s lines, and Dustin splitting the difference with two different vocal tones for the man and the narrator. How cool is that? Good southern lovers are going to find a lot to love here, as well as those who are looking for something deeper than just another generic radio record.